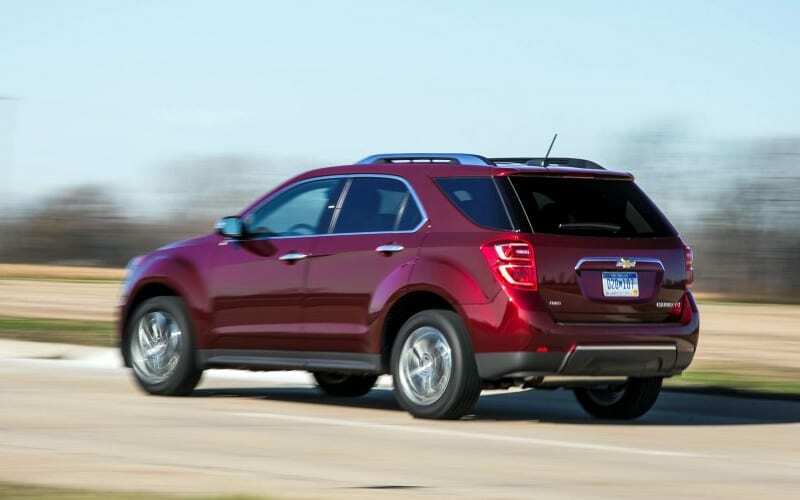 The Chevrolet Equinox first hit the scene back in 2005 when it became Chevrolet‘s newest compact SUV. It was rather successful but no to the degree at which Chevy planned it to be. 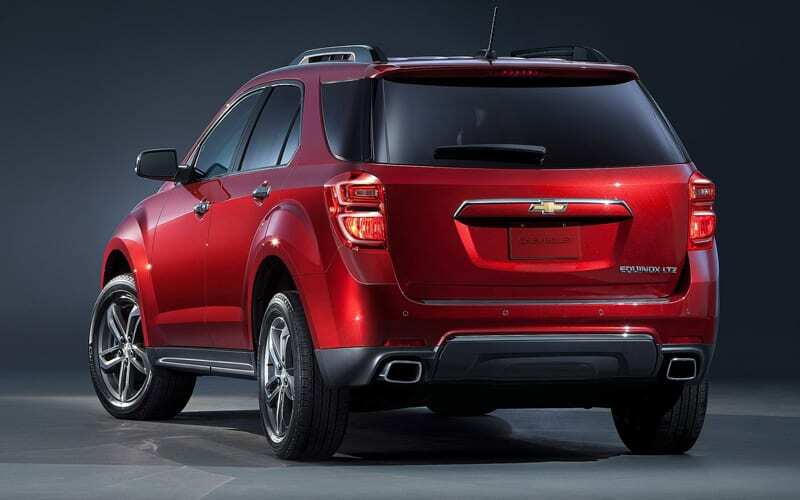 With that in mind, they gave it a large overhaul in 2010 and stayed true to their updates, here we are five years later, getting an update in the form of the 2016 Chevrolet Equinox. First off let’s start by saying that while it does seem to be a major overhaul yet again, this version is much closer to the old one than was the previous one to its predecessor. It’s an evolution and not a revolution just like we are used to in the last few years. The plan here was to make the Equinox fresher, cleaner and overall more youthful looking, attracting a much younger and wider audience than their current customer base. It may already be successful but in such a competitive segment, it never hurts to get upgrades that will certainly result in even more sales. We respect the fact that Chevy decided to update it but left a lot of the things in and only improve and added more interesting stuff. Bearing in mind, they left all the positives and listened to their customers; we have only high praises in that regard. The exterior changes are rather decent, but there’s nothing to write home about. 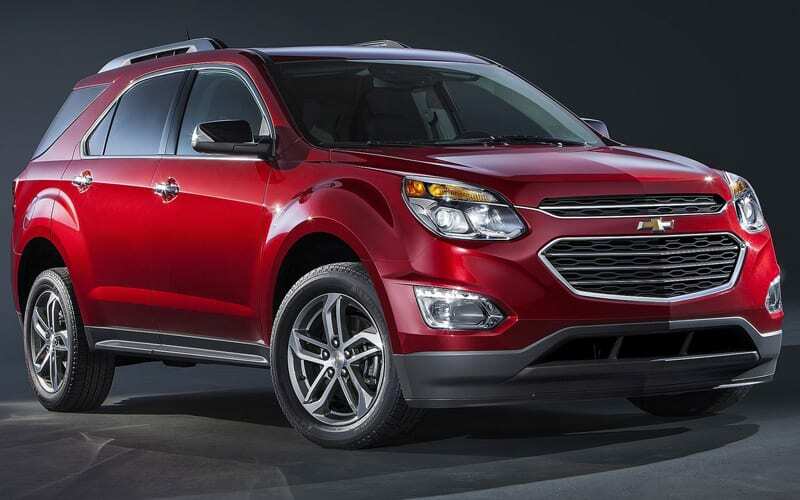 Yes, it is noticeable, but not to the extent where you have to wonder whether it’s an Equinox or a brand new model. First, the front end features most of the changes and it’s the most obvious to spot out. Starting out we have new projector headlights, LED daytime running lights for the LT and the LTZ, brand new fog lights for the LTZ, a newly refreshed grille which is substantially larger than before and signature LED lighting. On the higher LT and LTZ trims, you’ll find the grille to be chrome too giving it that unique look. The side is virtually unchanged apart from the new 17- and 18-inch wheels which come standard on LT and LTZ models. The LS trim also gets the 17-inch alloys, but they’re optional, meaning you will have to shell out some dollars to get them. The crossover is available in these colors: Summit White, Silver Ice Metallic, Black, Mosaic Black Metallic, Nightfall Gray Metallic, Velvet Blue Metallic, Patriot Blue Metallic, Siren Red Tintcoat, Iridescent Pearl Tricoat. 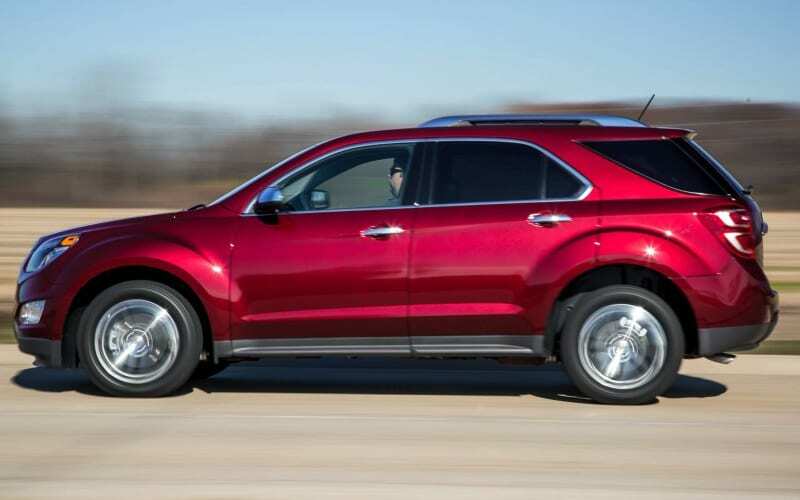 To finish it off, we get to the back of the 2016 Chevrolet Equinox. First, there are new taillights with a dual-element design, a new appliqué for the license plate as well as a lower bumper that’s new from the ground up. Pretty much everything regarding the light uses LED tech which makes it quite refined. It houses the refreshed exhaust exits for the V6 engines and adds a chromed strip just on the lower part of the higher LTZ trim option. 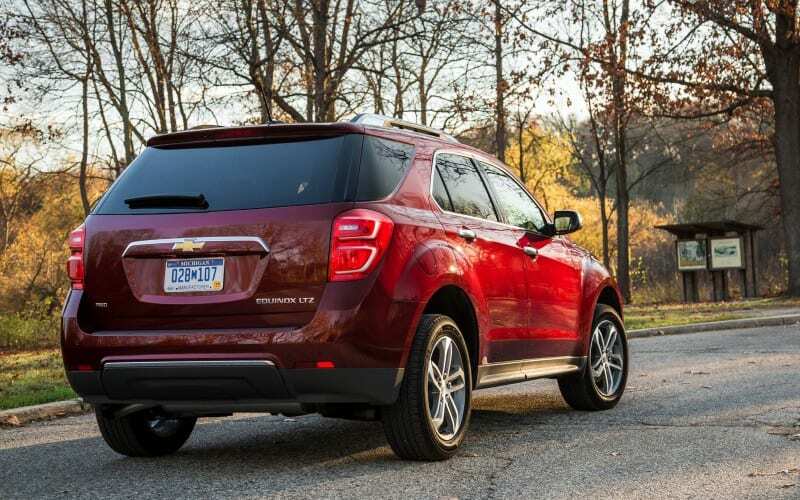 The fact that it’s still recognizable as an Equinox speaks volumes of what Chevy has done. They’ve managed to take a reasonably successful model and make it even better without sacrificing any of its crucial characteristics which made it what it is. If you think the interior has been changed too, think again. Well to be completely honest it has, but it isn’t nowhere as near as noticeable as the exterior. The center stack, for instance, is slightly different in design but to notice it, you would almost certainly have to have them side by side. Namely, the storage shelf for storing your items is different, but you wouldn’t have even noticed it if it wasn’t for this information just now. The control graphics, however, have been updated, and that’s one thing that is visible. Following the outside chrome additions, the gear shifter gets new chrome trimming, and the Electronic Range Selector buttons can now be found at the top of the actual gear shifter. The interior has been blessed with a new color option called “Saddle Up”. It brings upgraded fabric, but only on the L and LS trims. 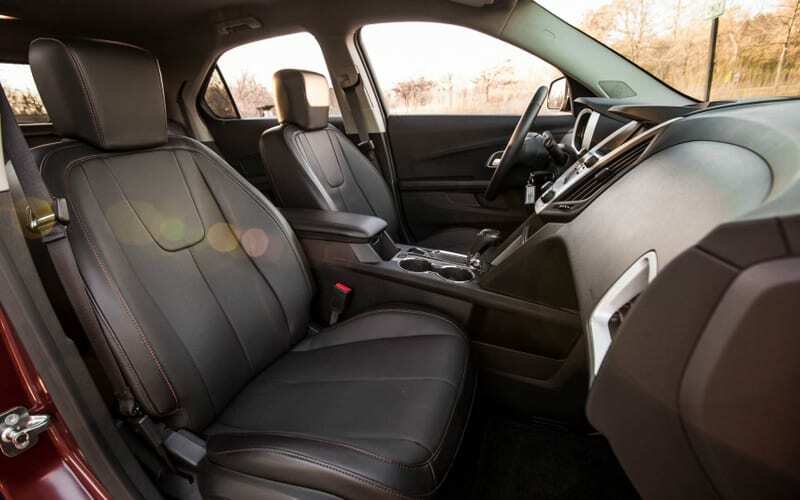 Other color options include Jet Black, or combination of Light Titanium and Jet Black premium cloth or leather seat trims. Elsewhere we find a standard 7-inch touchscreen display with radio, which also shows you the view of the rearview camera, now standard on both L and LS models. 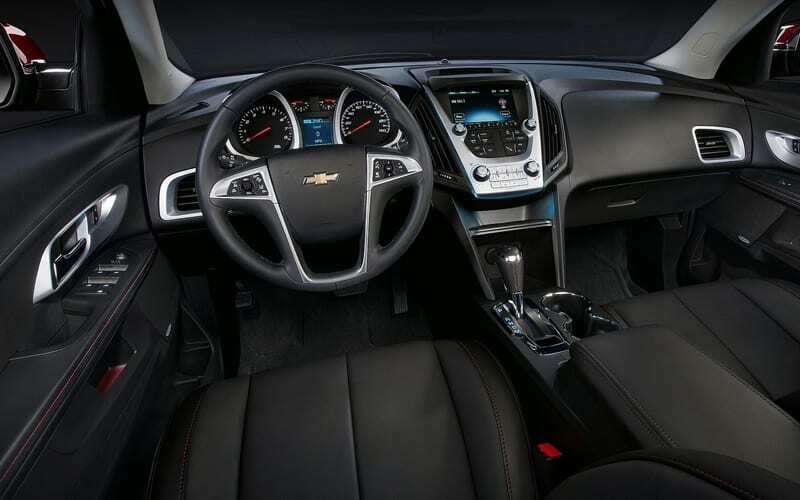 The 2016 Chevrolet Equinox also comes with an optional side blind zone alert for those who want to be extra safe, and even a rear cross-traffic alert. Otherwise, it’s unchanged. 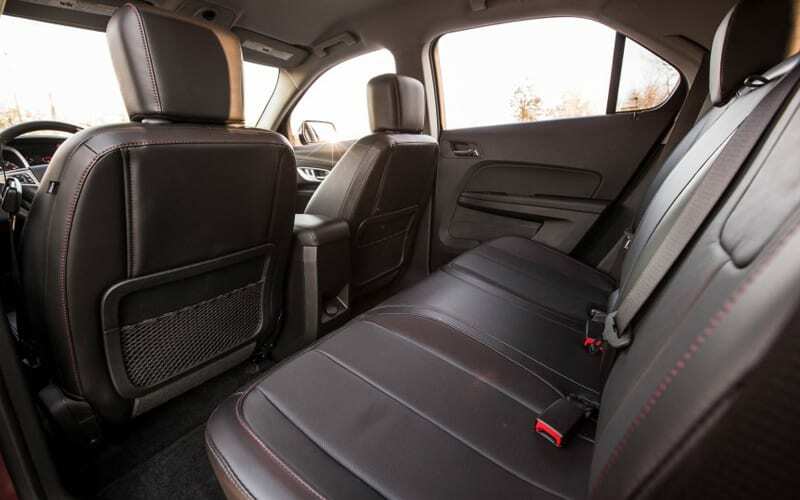 The size of the cabin is the same with the same 31.4 cubic feet of cargo room with the seats up, and 63.7 with them down. The engine has no changes either. 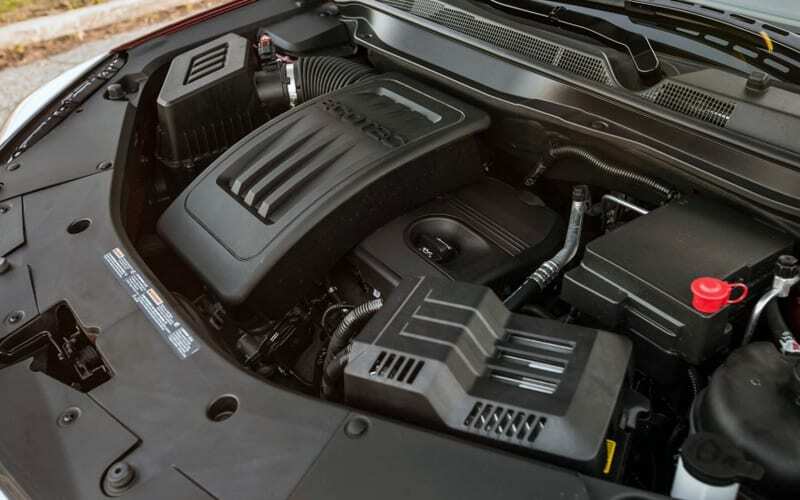 We find the same 2.4-liter four-cylinder unit developing 182 hp at a pretty high 6,700 rpm and 172 lb-ft of torque at around 4,900 rpm. Although the 2.4L engine is great, you can’t help but feel that power deficit, especially when overtaking or tackling larger gradients with a loaded vehicle. This is where the optional 3.6-liter V6 comes in. It kicks out nearly twice as much power at 301 horsepower and 272 lb-ft of torque. It’s a real powerhouse and one that gives you an instant kick in the back every time you go full throttle. Both engine options are mated to a six-speed auto gearbox with no option of a manual. 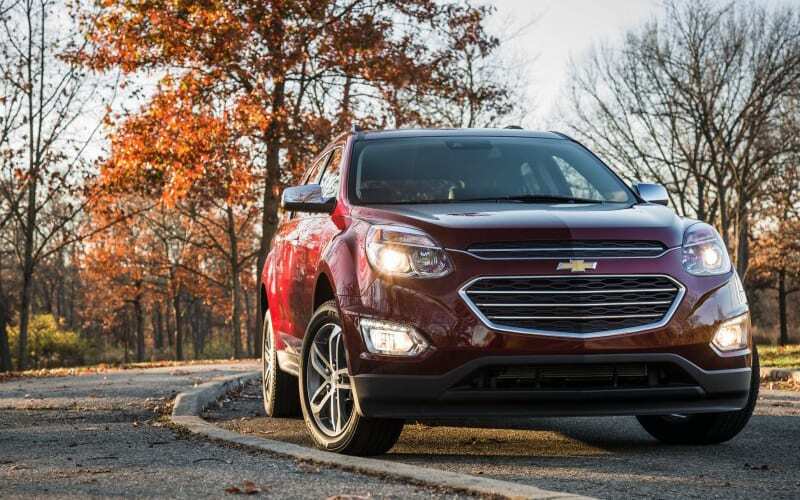 Power is always sent to the front wheels in standard form, but naturally goes to all four when the 2016 Chevrolet Equinox is fitted with the all-wheel drive system. It’s the same fuel figures too, and unfortunately, there are no upgrades in this segment. 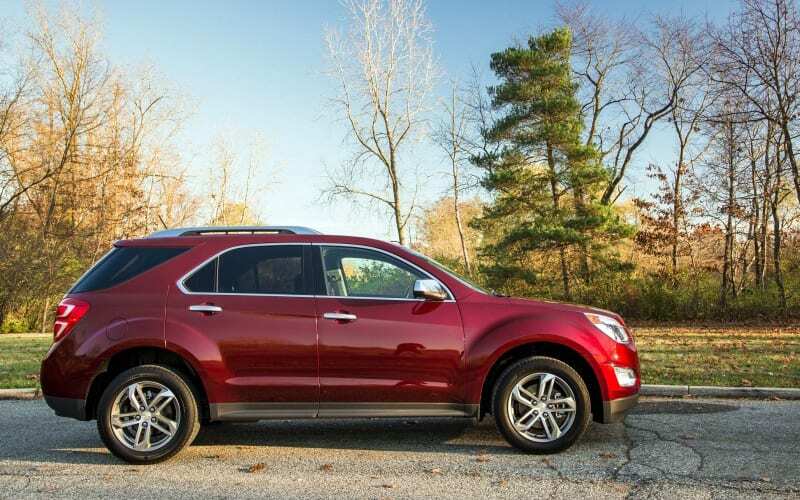 The 2.4L gets 26 miles per gallon on the combined run with the front-wheel drive version (22 mpg city, 32 mpg highway), and that number drops down to 23 mpg if the car in question has the AWD system (20/29 mpg city/hwy). The much larger and more powerful V6 is naturally thirstier, so it returns 16/23/18 mpg with AWD and 17/24/20 mpg with FWD. 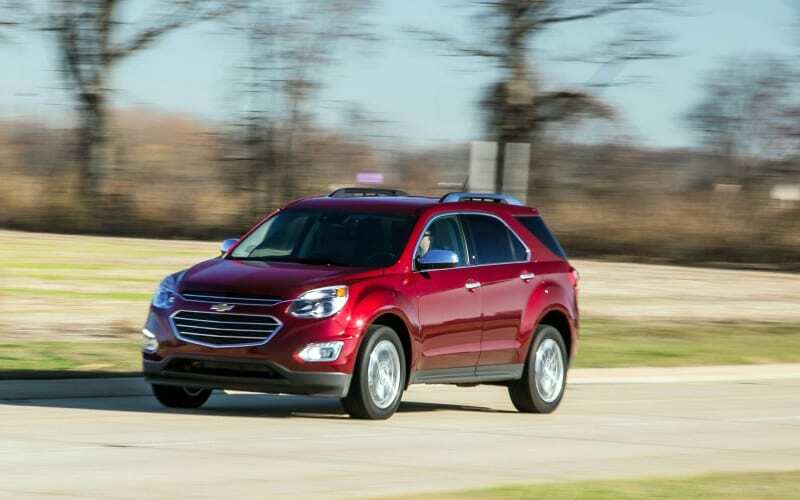 The 2016 Chevrolet Equinox SUV starts at just $22,600 for the front-wheel drive 2.4L inline-4 model. If you want more gadgets and a higher trim, you’ll obviously have to shell out more money. LS trim will set you back for about $25,410 while the LT and Premium cost $26,650 and $29,940 respectively. The same goes for the V6 engine option as well. In the end, we suggest multiple versions for a drive and then deciding whether or not you need the V6 or all that extra stuff.